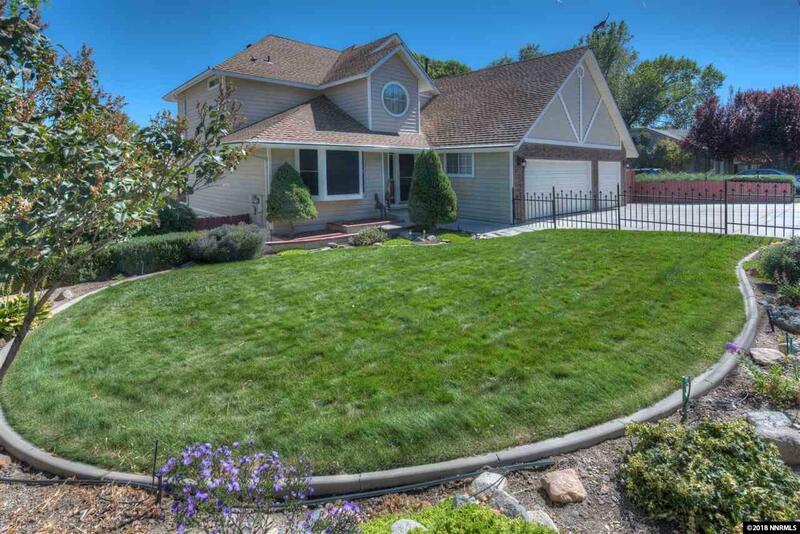 This lovely 3 bedroom, 2.5 bath home is situated near the heart of Downtown Carson City. Tremendous views from the living areas and expansive deck. The kitchen boasts granite slab counters, quality oak cabinets, refrigerator, and breakfast nook. The living room, dining room and family rooms are nice areas to gather. The family room features a gas log fireplace and nearby half bath. All bedrooms are nicely sized. The home boasts a large finished basement (approx. 1000 sq. ft.) with a dry bar, and an office.